First things first, you have to understand why we do what we do on Sunday mornings. Top to bottom, in every environment, our NUMBER ONE goal is to see EVERYONE take the next step in their relationship with God. But to get skeptics and saints alike to dial in, and focus on what that next step might be, we are required to find some common ground for everyone right out of the gate. 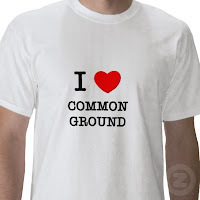 That common ground can't be theology, belief systems, or facts. It has to be something that taps into everyone's human emotion. Now don't get me wrong, I want people to understand theology, build a faith on truth, and develop a sound belief system. But if their not tuned in to learn about how to have those things, we might as well be talking to a wall. So we try in almost every service to do a song, play a game, play a video...whatever, that has NO OTHER PURPOSE but to make people happy that they came. We literally do things that serve the single purpose of making people have fun. Why? BECAUSE EVERYBODY ENJOYS HAVING FUN! It's common ground for everybody in the room. As humans, we are always DRAWN to people and environments that make us feel good, and we always RESIST people and environments that make us feel uncomfortable. That's why we do what we do. Jesus did the same thing. In Luke 15, we find Jesus teaching to a very mixed crowd, tax collectors, sinners, Pharisees, and religious leaders. How could you possibly relevantly teach to such a diverse group. Rather than diving right in to the teaching, Jesus starts by finding common ground. He starts out by talking about how it feels when someone loses a sheep. A sheep! Not about the Heavenly Kingdom, or about faith, or about the Father's will...but SHEEP! (What a secular topic!) He knew that everyone in His audience could relate to what it would feel like to lose a sheep. Then, once he had their attention, He went on to teach them about the love of His Father in Heaven. But first, he found common ground, and had them dial in through human emotion. When we do "secular" songs at our church. It's not just to be cool. It's so that we can get people from a broad spectrum of backgrounds on common ground, dialed in. I mean, everybody loves a good Beatles tune, or the latest from Coldplay, right? We will continue do whatever it takes to ENGAGE the people God has sent our direction, so that we can successfully CHALLENGE them with the truth of God's word.